Finding Big and Tall work clothes can be a challenge for men that are big, tall or both. 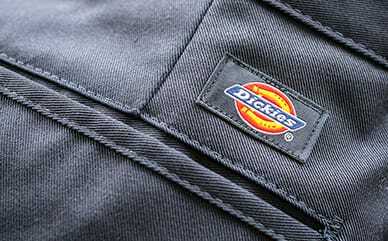 Dickies' has over 150 styles of quality workwear in all types of sizing. Dickies offers large sizes for men's work pants, shirts, overalls, cargo shorts, jeans, and more. Dickies started producing clothes for hard-working families in 1922. 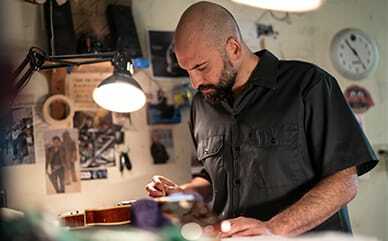 For almost 100 years, Dickies has designed workwear for men of every size and for any job. Dickies would rather you spend your time working on the job, than searching to find clothing that fits. Made tough for any job, Dickies' craftsmanship is the global leader in performance workwear. These quality clothes are sold at an affordable low price, with unmatched durability and fit. Strong, comfortable, long-lasting pieces are what we strive to deliver. Just because the sizes are bigger and longer does not mean you have to sacrifice style. Everything is made with performance in mind, including all the pockets, loops, easy-care technology and fabrics that keep the weather out. Our clothes are built to perform in any environment. Men's Big and Tall clothes go up to a 7XLT in shirts and 72 cm waist sizes in pants, keeping every customer in mind. Whether the temperature call for shorts or pants, short- or long-sleeve shirts, outerwear or overalls, we have you covered with our variety in men's Big & Tall line —keeping you clothed and confident for whatever your job requires.